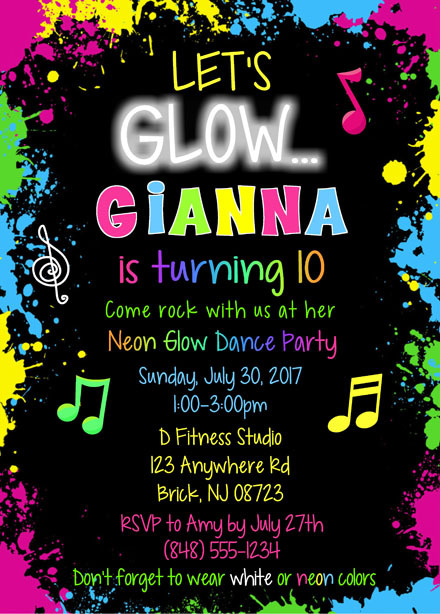 Glow Dance Birthday Party Invitations. They are perfect for a glow themed dance party. This colorful invitation is done in neon colors. 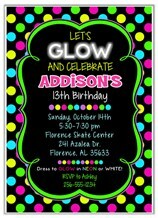 The glow party invitations can be personalized for a any event.